After blowing a near $100,000 lead over Isaac Haxton in last week’s Superstar Showdown on PokerStars –the first Superstar Showdown match the site has hosted since last June—Team PokerStars Pro Viktor “Isildur1” Blom came back with an impressive victory of UK high-stakes pro Andrew “Kanu7” Millar. The two high-stakes heavyweights squared off in a 2,500 Heads-Up No Limit Holdem match spread across four $100/$200 tables, and when the dust settled it was Isildur1 coming out victorious with a profit of around $37,000 ($37,687 to be exact). Over the course of the match only one pot exceeded $100k (compared to the usual wild-rides that Blom is usually a part of this match was more on the tamed side) as Blom picked off a huge river-bluff by Millar, snap-calling with bottom pair on a J-4-A-5-9 board. Blom showed K/4 while Millar held an eight-high (with a missed gutshot holding 8/7). Blom, considered one of the best young talents in the game as well as one of the most enigmatic, finally broke through with a big live tournament win this year, winning the $100k Super-High-Roller tournament at the 2012 PCA in January, where Blom pocketed over $1 million for the win. 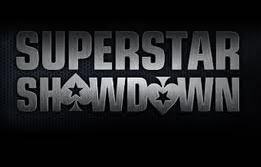 PokerStars hasn’t announced who will be part of the next Superstar Showdown or when it will take place, but we will be sure to keep you updated as it now appears the site is once again heavily marketing one of its biggest stars in Blom. For more information on the match between Kanu7 and Isildur1 you can head over to the PokerStars Blog. This entry was posted on Tuesday, March 20th, 2012 at 11:01 am and is filed under Poker News. You can follow any responses to this entry through the RSS 2.0 feed. You can leave a response, or trackback from your own site.